According to Nationwide Pet Insurance, ear infections were the top reason people visited a veterinarian in 2016. This painful condition could be alleviated if dog owners were more consistent about caring for their dog’s ears, such as frequent inspections, and weekly cleanings. Which Dog Breeds Get The Most Ear Infections? How Regularly Should I Be Cleaning My Dog’s Ears? 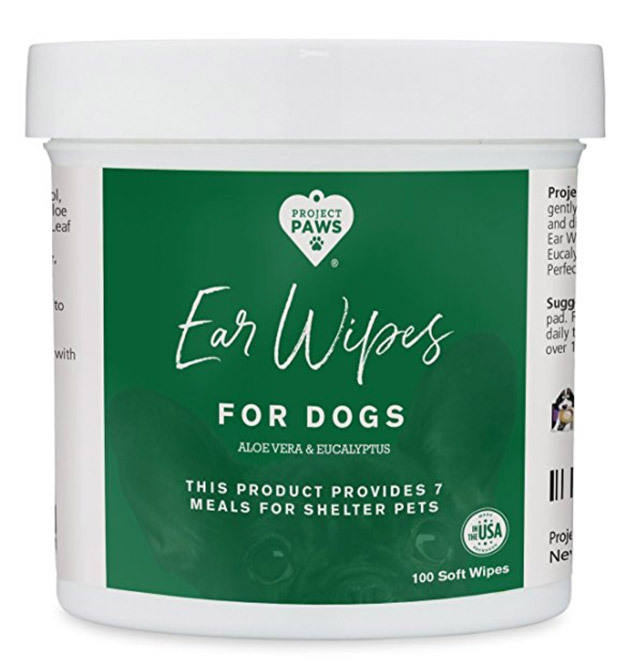 But how often is best when it comes to cleaning your dog’s ears at home? Under-cleaning can allow infection causing yeast and bacteria to build up, while over-cleaning can strip away healthy wax and lead to irritation. The length of time it takes for a dog’s ears to get dirty depends on breed, coat, activity level, wax production, and even humidity. In other words, it varies for every dog. The veterinarians at Banfield recommend once monthly cleanings as a basic rule of thumb for dogs with “normal” ears, however those who swim, roll in the dirt, or have a predisposition to infections (like the breeds listed above) may need weekly or daily cleanings. To determine if it is time for a good ear flushing, lift the pinna and look inside. Do you notice dirt, debris or excess brown buildup in the outer ear? If so, it may be time to break out the cleanser and do a more thorough job by cleaning out the L-shaped horizontal ear canal. It is important to make sure that your dog always has positive experiences when it comes to home care so that he or she will trust you with these treatments in the future. When in doubt, it’s best to check in with your vet. 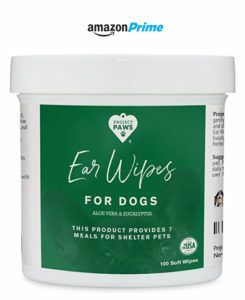 Check out our favorite ear wipe brand on Amazon prime.